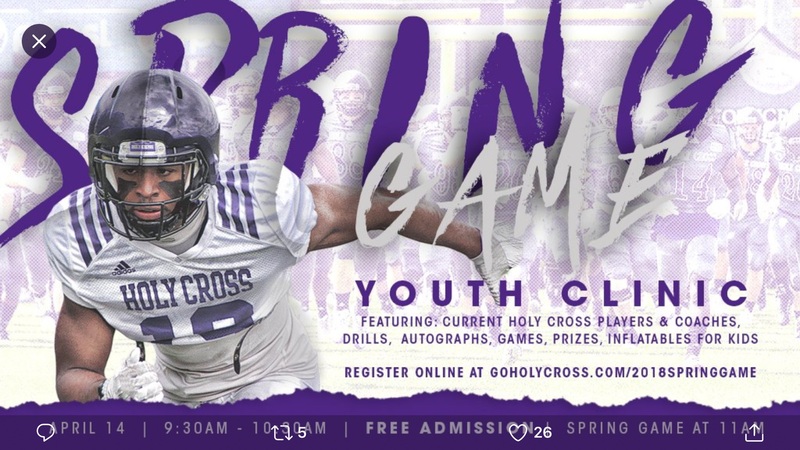 Register for the Holy Cross Football FREE Youth Clinic! The clinic will take place from 9:30-10:30 a.m. on the Holy Cross campus, with drills led by current Holy Cross student-athletes and coaches. 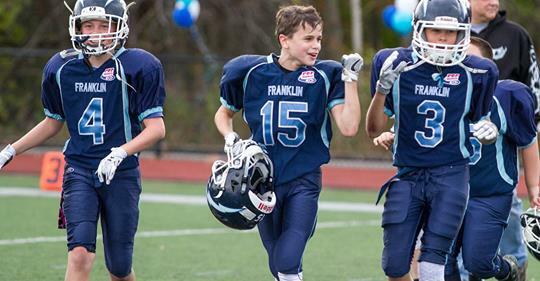 Following the clinic, kids are invited to stick around for the spring football game which includes free admission for everyone. The day will include games, prizes, autographs and inflatables.